Kids Corner Creative is a wonderfully illustrated design featuring a large tree, forest creatures and rolling green hills. The illustrations and watercolor designs have been hand painted by our in-house artist. 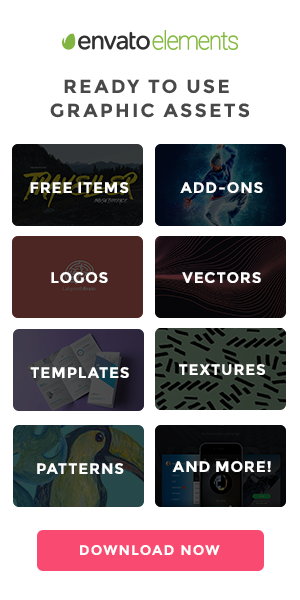 The website design would be perfect for Children’s products and services like child care centers, education, kindergarten, boutique online stores and mommy blogs. 5 footer designs: Plain Grass Footer, kids reading, woodland houses, pirate beach, green hills. Illustration stock images to be used throughout the website. 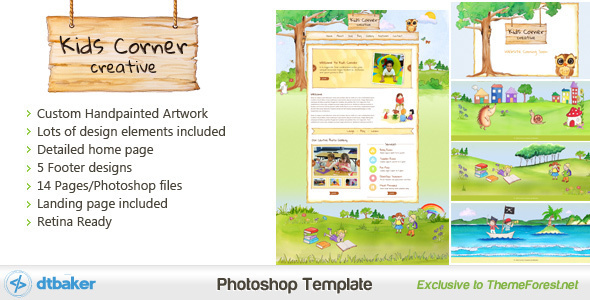 The Kids Corner Creative photoshop template is for sale on ThemeForest.net for just $12, preview the files here.